1, the input interface: 1 HDMI interface, 1 groups of component interfaces, 1 groups of AV interface. 2, the output interface: 1 HDMI real-time output and set the output double compatible interface, 1 groups of AV interface, 1 groups of component interfaces. 3, support HDCP protocol, compatibility of HDMI and HDCP; support for recording all kinds of encrypted video decoding. 6, support for FULL HD video (1080i high definition digital TV mode or 1080@24P movie mode), support for AVCHD (H.264) video format and MPEG-1 LAYER-II format support stereo recording, digital photo frame playback, image format JPEG. 8, record video format: H264, support for DAT TS file name suffix. 9, support for external connection movable hard disk or U disk recording, maximum support 2000G disk; 2 compatible, 3.0USB interface. The hard disk support FAT32 format. The initial use of the hard disk, must be formatted with the machine. The HD video recorder is high speed decoding, relatively high quality requirements on the hard disk, when the proposal to buy machines from the factory, together with the matching buy mobile hard disk. With HD video recording (720-1080P) standard settings, occupied space 4G 1 hours. The highest quality setting, 1 hours to occupy 12G space. Common settings, 1 hours to occupy 2.4G space. In standard definition video (480-576P) standard settings, 1 hours to take up the space of 2G; the highest quality setting, 1 hours to occupy 4G space; common settings, 1 hours to occupy 1.2G space. 10, the video frequency: automatic generation of new video file every recording 3.98G, in the same folder record file, with the machine can achieve seamless playback. 11, the broadcast media: support the player, support the copy to the computer playing and editing, support for high-definition player. If you use a computer, play with the computer should not be too low, configuration, support the use of recommended HD decoding computer. Recommend the use of storm video player software 5. 12, the video mode of operation: support the host panel keys one touch recording, stop the video; support remote control at any time, timer reservation, pause, continue to record, stop and playback, playback and a time shifting operation. Can watch and record, recording and playback side while watching the browse. Support a key type showed no compression and synchronization output interface. 13, HD screenshot: support 1920*1080P HD screenshots, BMP image format. 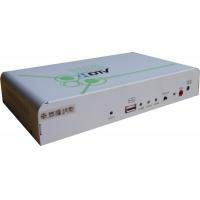 HDT-2C is a multifunctional HD DVR a fully functional properties of stable prices affordable, with HDMI, the color and the output of AV set-top box, high-definition players, HD DV machines and other equipment can access the machine of high-definition video. Even as a video conference or medical surgery videos, can also be used pre decoder. The machine has HDMI, the color and AV output terminals of the rich and varied, then the support of old and new television show broadcast. Through panel key or remote controller operation, can at any time a video recording. Can be in the set length of time a video recording system, the longest can set 10 days. According to the video needs, arbitrarily set the start time and end time of video, as long as the setting time is not cross, can set video section. Time, automatic video, the video ends, auto stop, can the standby state set up the video after the end of a video signal to enter when the machine with Automatic wake-up function. The machine superior hardware configuration and system scheme of excellent and good cooling system, can guarantee the long continuous video, in maintaining good ventilation environment, even if the continuous work for a month and there are no problems. Set this function, you can record automatically delete the earliest recorded video full again after the burn and overwrite the video recording in the hard disk space. Turn off this feature, then the hard disk space recording automatically stop recording after. When the input signal terminal is time audio and video input together, can synchronously recording audio and video; when the video signal and the audio signal is separated from the input of the time, through the system settings for the RCA option, also can realize the synchronous recording. This feature lets this machine support any encrypted playback high-definition video playback signal equipment. Some of the products on the market price is very cheap hard disk recorder, is not the function. HD digital TV set-top box mostly encrypted signal, not compatible with the HDPC protocol does not support recording video. (Chunyuan Raider HDT series video recorders, are compatible with HDPC protocol).